Budget-Friendly Career & Life Skills Resources! Looking for a way to provide inexpensive and useful career resources for your organization? These convenient and powerful little pocket guides (3 7/8" x 4 7/8") will fit any budget. Written by leading career / life skill experts. 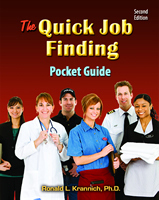 Each 64 page pocket guide is jam-packed with vital how-to career information, tests, tips, checklists, and much more! Inexpensive and convenient personal action guides. Budget saving discounts. Order today! Order Packets of 25 or 100 and Save! Re-entry can be tough, especially if you’re trying to start a new life on the outside. Indeed, the free world can be both a frightening jungle and a confusing maze for the uninitiated. If you’re used to being locked in a cage and told what to do and not to do 24/7, you may have trouble making good decisions about your future. Here's the perfect street-level re-entry guide for making smart transition decisions. Order packets of 25 or 100 and save! Everyone gets angry, but some people manage anger better than others. When channeled properly, anger is a positive and healthy emotion that relieves tension and stress, focuses decision-making, and results in getting action. But if it gets out of control, anger can seriously damage your: physical health, mental health, relationships, career. Worst of all, anger can lead to costly misdemeanors and felonies that result in court and jail time as well as a damaging criminal record. Indeed, anger can kill you in many ways! 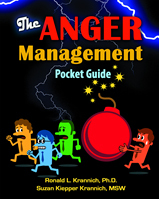 Designed for better controlling one’s s anger, this powerful little guide covers it all. Order packets of 25 or 100 and save! Presents essential personal and employability information for anyone in transition. Especially useful for ex-offenders, military personnel, students, retirees, women re-entering the workforce, and individuals in recovery re-entering the free world. Helps users assess skills, complete applications, write resumes, conduct job interviews, negotiate compensation, and survive, thrive, and advance on the job. Offers tips on education, training, health, attitudes, financial planning, housing, transportation, and community services. Includes a useful documentation section for compiling essential personal information. The 3.75" x 4.5" trim size makes it the perfect personal reference companion. Carry it with you wherever you go and refer to it frequently. 64 pages. Order packets of 25 or 100 and save! 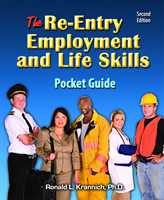 The perfect re-employment action guide for today's tough economy! 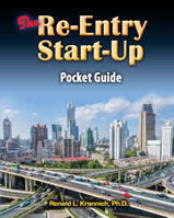 Designed for anyone seeking employment - from hopeful new graduates and individuals experiencing job loss to those re-entering the job market after a lengthy absence, this pocket guide is filled with essential job hunting information organized around a 10-step job search process. Covers attitudes, skills, goals, applications, resumes, networking, Internet use, job interviews, salary negotiations, job offers, federal employment, job fairs, on-the-job survival, starting a business, and much more. Order packets of 25 or 100 and save! Each year over 250,000 military personnel and families leave their respective service for new careers in the civilian world. Faced with the challenging tasks of writing a resume, contacting potential employers, interviewing, negotiating salary, or starting a business, many veterans and their families need a "trusted friend" to coach them through the challenging transition process. It also covers such important subjects as starting a business, surviving on the job, planning for retirement, documenting experience, finding a federal job, and identifying references. Jam-packed with engaging checklists, tips, examples, and exercises, this handy guide may well change your life! 64 pages. Order packets of 25 or 100 and save! 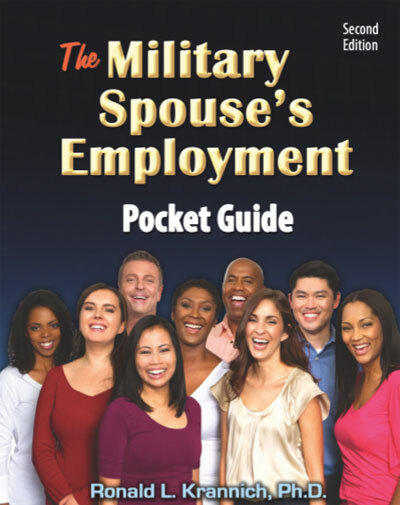 This handy pocket guide assists military spouses in quickly finding and keeping a job. Complete with quizzes, examples, and exercises, it helps them: organize key job search information; specify transferable skills, references, and networks; write winning resumes, letters, and applications; conduct job interviews and follow up effectively; and survive, thrive, and advance on the job. Best of all, users will acquire important attitudes, skills, and motivations to continue finding such jobs regardless of their location and relocation experiences. Order packets of 25 or 100 and save! This handy little pocket guide concisely summarizes the major benefits available to servicemembers, veterans, and their families. You'll want to keep it with you to refer to as needed. Order packets of 25 or 100 and save! Under the Post-9/11 GI Bill, qualifying veterans can now receive full tuition and fees as well as a living stipend and book allowance while studying for a degree. Speaking truth about education, the authors include tips on how to get the best value in education as well as warnings about predatory for-profit education institutions that often prey on servicemembers and veterans. Don’t start using your education benefits without first reading this insightful pocket guide! Order packets of 25 or 100 and save! 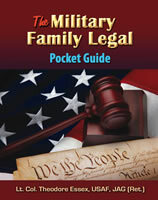 This convenient little pocket guide provides a wealth of useful legal information for servicemembers and their families who often need legal assistance relating to both military and civilian law. 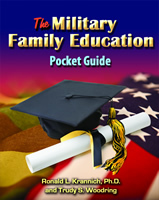 This pocket guide covers such topics as the military justice system, free legal advice, marriage, divorce, deployment, wills, financial protections, debts, leases, taxes, disabilities, education, benefits, and much, much more. Includes key websites, a glossary of legal terminology, and sample documents. Order packets of 25 or 100 and save! 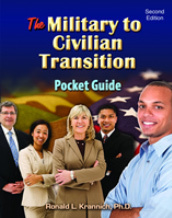 Finally, a handy pocket guide for helping servicemembers and their families deal with today's many financial realities. It's no big secret - we all face numerous day-to-day financial challenges, from handling a paycheck, using credit cards, and financing a car to renting an apartment, buying a home, paying for college, meeting medical expenses, repaying loans, dealing with deployment, helping family members, and saving for a rainy day. Order packets of 25 or 100 and save! Military spouses, America's unsung heroes, take on many important responsibilities related to themselves, their families, and their service community. From relocating, volunteering, and handling family finances to raising children, using base services, and managing deployment, spouses often face a daunting task of knowing what to do and where to go for assistance. Order packets of 25 or 100 and save! Freedom can be costly if not managed well. In fact, no one is truly free until they get their financial house in order and stay out of debt for good! Not surprisingly, re-entering society poses numerous financial challenges, from paying for housing, food, transportation, and health care to finding a job, establishing credit, and paying off debts. Order packets of 25 or 100 and save!